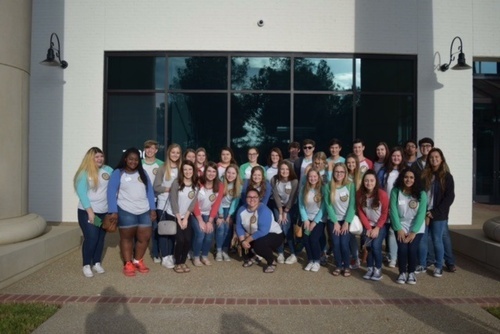 The Junior Leadership Academy (JLA) was created by the Fort Smith Regional Chamber of Commerce and is supported by the regional business community. JLA is a program for students whom desire the opportunity to learn more about Fort Smith and the opportunities available in our city. Students will meet community leaders from area businesses, government agencies, and civic organizations. Students will be introduced into an environment designed to enhance and develop their leadership skills which will benefit them throughout the rest of their life. Applications are available for those that are CURRENTLY in their Sophomore year with the program beginning the 2016-2017 school year (JUNIOR YEAR). Pay the $25.00 Program Fee. The remaining $400.00 will be paid by local area businesses. The JLA selection committee will be the Leadership Fort Smith Advisory committee. Thirty applicants have been selected. Committee representatives maintain an active role during the duration of the program. **Note - the Fort Smith Regional Chamber of Commerce is not part of the selection committee. The Junior Leadership Academy is looking for a very diverse class. Every student is encouraged to apply! Application deadline has passed for the 2016-2017 year. Dates will be announced soon for the 2017-2018 year. Applicants will go through an interview process. Times and location to be determined. Once the new class is selected a New Class Reception will be held for participants and their families to explain more details about the program.